Esa-Pekka Salonen conducts the San Francisco Symphony for the first time since his appointment as Music Director Designate. 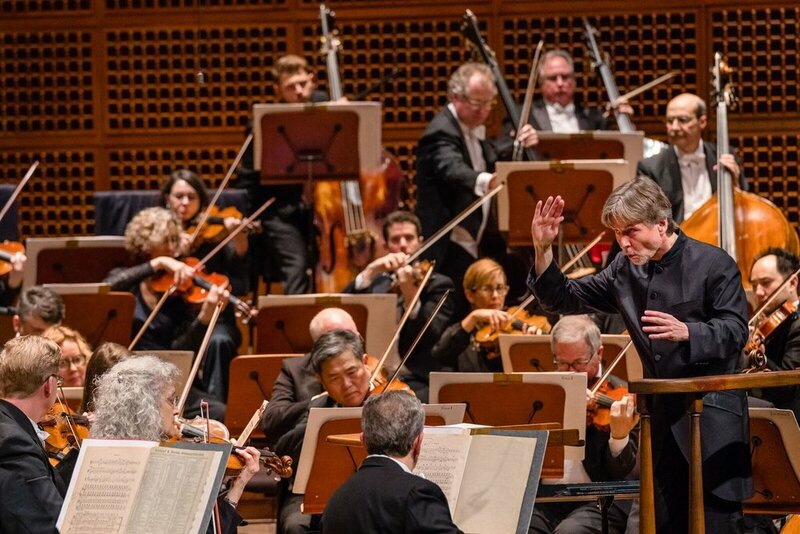 Judging from the rapturous reactions of influential music critics, last month’s appointment of Esa-Pekka Salonen (EPS) as Music Director Designate of the San Francisco Symphony Orchestra has been a great success. EPS is the darling of the critics who relentlessly push contemporary music at the expense of the core classics and who want the concert hall to be more like a laboratory for sound experimentation than simply a place where beautiful music is played. The New York Times who is in the forefront of the critics’ war against the core classics even sent one of its ‘chief warriors’ to San Francisco to gush and fawn over the cool 60-year-old Finn at his ‘inaugural’ concert last week, lamenting that EPS opted for the City by the Bay rather than the City That Never Sleeps to do his conducting and composing (EPS is a justly celebrated composer of contemporary music). The Salonen appointment is particularly appreciated by those who want to go on with the Michael Tilson Thomas (MTT) experience, seeing EPS as his logical successor. The appointment clearly is one for continuity, not change. Like MTT, Salonen’s forte is not the core classics of Beethoven, Brahms, Bach, and Mozart (though Haydn is an interesting counter example—EPS, yes; MTT, no). Last week’s concert featured the works of Strauss and Sibelius, two of MTT’s favorites. Mahler and Stravinsky figure prominently in the programming of both. And, needless to add, both share a huge interest in contemporary music. Here’s another striking similarity: Both EPS and MTT are deeply interested in the relation between music and technology (though as my colleague Stephen Smoliar generously pointed out to me, any efforts to incorporate new technology were ‘outsourced’ by MTT during his tenure while EPS was an active creator in realizing the highly successful re-Rite installation in London). In several interviews since his appointment, EPS has stated that a major factor in his decision to come to San Francisco is it’s proximity to Silicon Valley. NYC never really had a chance! Salonen’s ‘inaugural’ concert as Music Director Designate—an improvised affair made possible by the cancellation of the previously scheduled conductor--began just as a MTT concert might, with a short contemporary piece, this one by the Icelandic composer Anna Thorvaldsdottir. Richard Strauss’ “Also Sprach Zarathustra,” the second piece on the program, proved disappointing. The performance was overly aggressive, loud and somewhat meandering, certainly not up to the standard I had expected from the terrific “Electra” performance I heard EPS conduct at the Metropolitan Opera some years ago. Fortissimos do not have to be ear-splitting. The best part of the concert came after the break with Jean Sibelius’ “Four Legends from the Kalevala.” EPS was raised on this music, and his deep knowledge of and love for the score clearly stirred players and audience alike. It’s one of his favorite pieces. “The Swan of Tuonela”—often played as a stand alone—was particularly beautiful on this occasion, filled with an overflowing lyricism and emotion. The San Francisco string section, English horn, and principal cello were terrific in this plangent music. The mysterious second story, “Lemminkainen in Tuonela,” was gripping and exciting. It brought me to the edge of my seat. But even in this wonderful music from his home country, Salonen tended to over-conduct, micro-managing every minute, his baton flailing around as if he were fighting some invisible opponent. I sincerely believe that Salonen, known for being a cool conductor, had a case of nerves in his first concerts; he seemed to be trying too hard. The Finn’s reputation amongst musicians I trust is that he is a cool customer and a good musician. Still, after the concert, I began to reflect: Was a continuity appointment really the best road for San Francisco to take after 25 years of MTT? I remember when MTT was just appointed and several orchestra members explained to me that though they loved and appreciated MTT’s predecessor Herbert Blomstedt and his emphasis on the classics, they felt it was time to try something new and different. That made sense to me at the time and still does; indeed, after twenty five years it would seem the time for change and a new direction had once again arrived. But apparently a critical mass for change had not sufficiently coalesced in San Francisco to produce it. This is a very dangerous development. The San Francisco Orchestra has had 25 years without serious leadership in the classics. Now there will be another lengthy period in which the music director’s principal interests lie elsewhere. Without Mozart, Beethoven, and Brahms, the symphony’s integrity is at risk. You can’t get by just by having guest conductors pick up the slack as San Francisco has been doing and will continue to do for the foreseeable future. Herbert Blomstedt, aged 91, will not be around forever to teach the San Francisco players the classics. Going for continuity has put San Francisco in danger of becoming a seriously unbalanced orchestra.